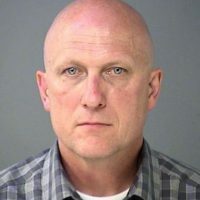 Fishers Police Chief Mitch Thompson is on paid leave after he was involved in a three-car crash on Keystone Avenue, just south of 96th Street, late Friday evening and was arrested and charged for operating a vehicle while intoxicated. Fishers Mayor Scott Fadness said in a statement that he has placed Thompson on paid administrative leave “until all facts regarding the accident have presented themselves.” Assistant Chief Ed Gebhart is serving as the acting chief. The accident occurred at approximately 10:47 p.m. July 27, according to the Indianapolis Metropolitan Police Dept. report. According to the report, Thompson rear-ended the vehicle in front of him, causing that vehicle to strike another. After police arrived on the scene, the report says Thompson took a PBT (preliminary breath test), which measured his blood alcohol content at 0.126. The state’s legal limit is 0.08. The report says Thompson also submitted to a blood draw. After his arrest, Thompson was booked unto the Marion County Jail and released at 4:37 a.m. July 28. Thompson is set to appear in court at 8:30 a.m. July 30, according to documents from the Marion County Jail. Thompson, 48, began working for the Fishers Police Dept. in 1991 after graduating the Indiana Law Enforcement Academy in 1989 and earning a bachelor’s in criminal justice in 1991. From 1991 to 2003, he worked as a D.A.R.E. officer at Hamilton Southeastern Schools. 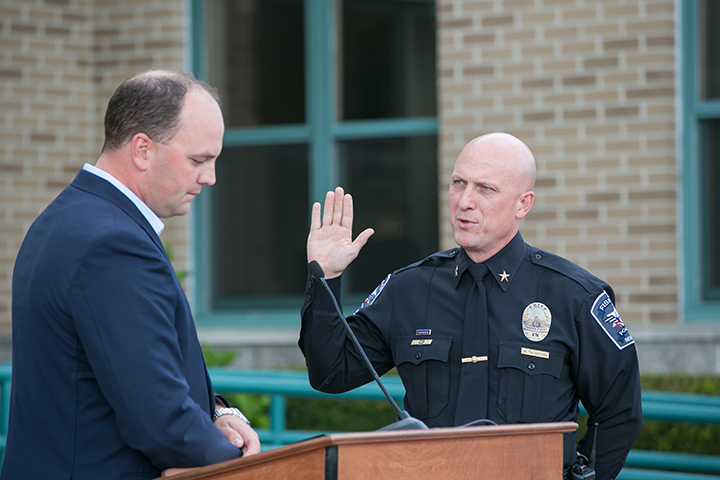 From there, Thompson became a detective in 1993, a patrol sergeant in 1994 and a patrol commander in 1999 before being promoted to assistant chief in 2003 and chief in October 2016. “Last night, I was notified by Police Chief Mitch Thompson that he was involved in a three-car personal injury accident on Keystone Avenue in Marion County. The Indianapolis Metropolitan Police Department is investigating the crash. Chief Thompson reported that he was arrested for operating a vehicle while intoxicated. “I’ve placed Chief Thompson on paid administrative leave until all facts related to the incident present themselves. In the interim, I have placed Assistant Chief Ed Gebhart as Acting Chief as we continue to gather facts.